Here in Sweden we are celebrating Valborg today – the arrival of spring. Bonfire, fireworks and student singer choirs! It will be a busy day. 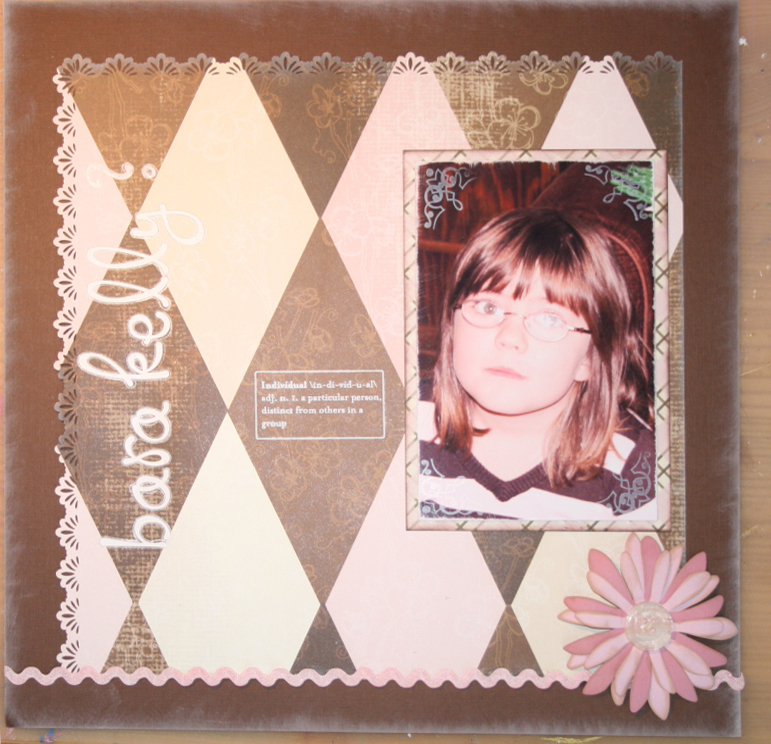 I just went to see Cajaba’s crafty blog – check it out! She makes the most wonderful cards. No. Not Just Kelly. She’s an individual! 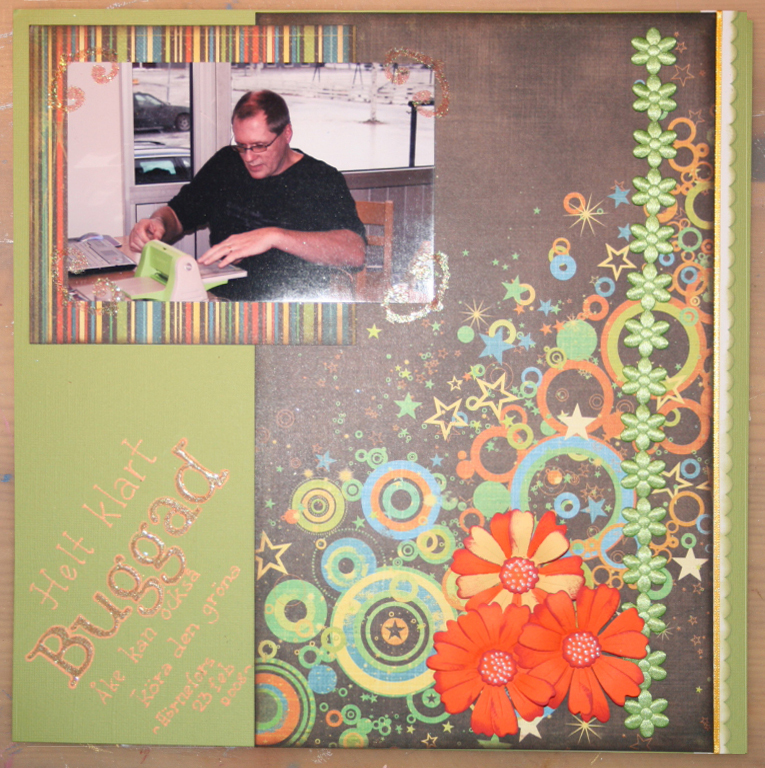 CS: Bazzill, PP: Cloud 9, border punch: Fiskars, ribbon: American Crafts, rub-on: DCWV, Fluid chalk, flowers: Ellison large Daisies, alphas: Doodlebug Loopy Lou, stamps: Panduro, button and fiber from stash. The challenge at SAR for April was a treat container. I found a cookie jar since Christmas – it used to contain gingerbread snaps – and dressed it up some. 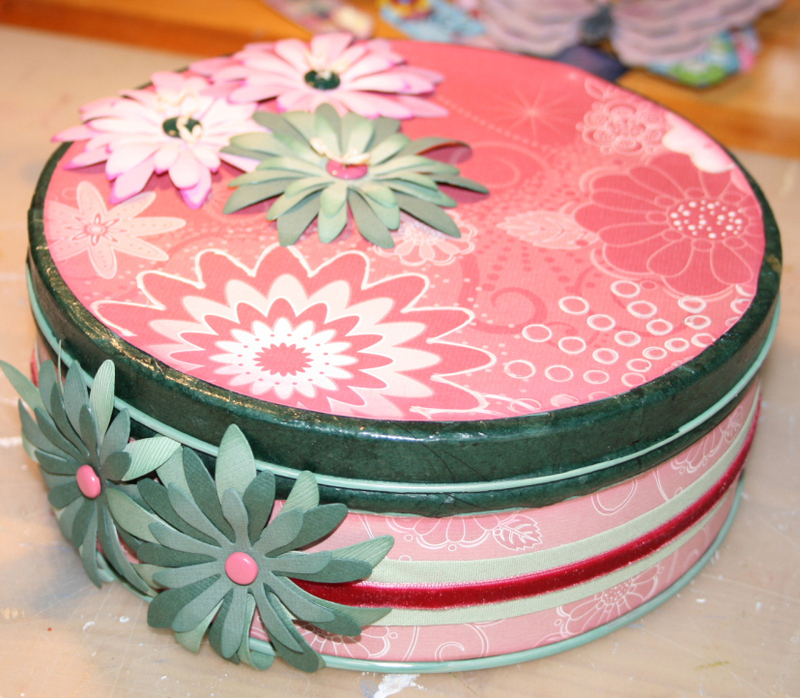 Mulberry paper, PP: Cloud 9, flowers: Ellison large Daisies die-cuts, brads, buttons and ribbon from stash. Fluid chalk and liquid pearls are also used. 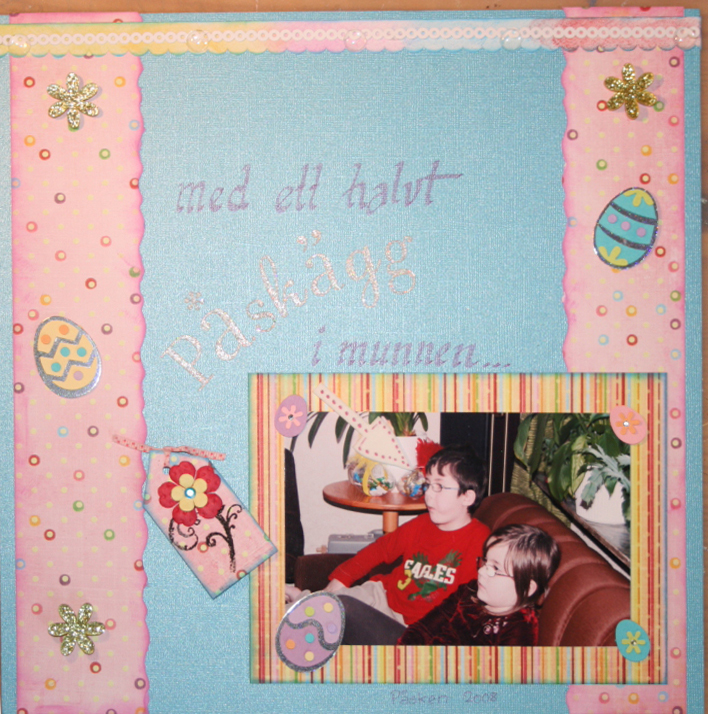 I used Beacon Liquid Laminate to attach the mulberry paper, and Beacon Zip Dry Glue for the other papers and embellishments. Kevin’s got at least half an easter egg in his mouth! My daughter’s FIL shows he can manage the Cuttlebug! I think Lorelai likes ice-cream… But suddenly she was out of it!